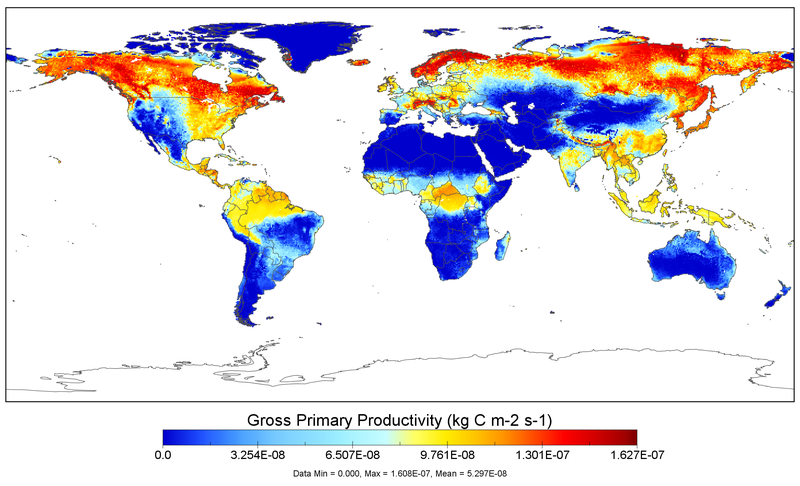 This data set provides global gridded estimates of carbon, energy, and hydrologic fluxes between the land and atmosphere from 15 Terrestrial Biosphere Models (TBMs) in a standard format. Model estimates are at monthly and yearly time steps for the period 1900 to 2010, with a spatial resolution of 0.5 degree x 0.5 degree globally, excluding Antarctica. The 15 models are: BIOME-BGC, CLM, CLM4VIC, CLASS-CTEM, DLEM, GTEC, ISAM, LPJ, ORCHIDEE, SIB3, SIBCASA, TEM6, TRIPLEX-GHG, VEGAS, and VISIT. There are 1,484 files in netCDF v4 format with this dataset. Each file contains all time steps of a single variable output from one of five simulations by each model. Note that not all models performed all simulations. MsTMIP defined a list of required/optional variables to be generated by each model.